What's all the fuss about duo™? It's the latest thing to happen to sofas since they were able to recline. 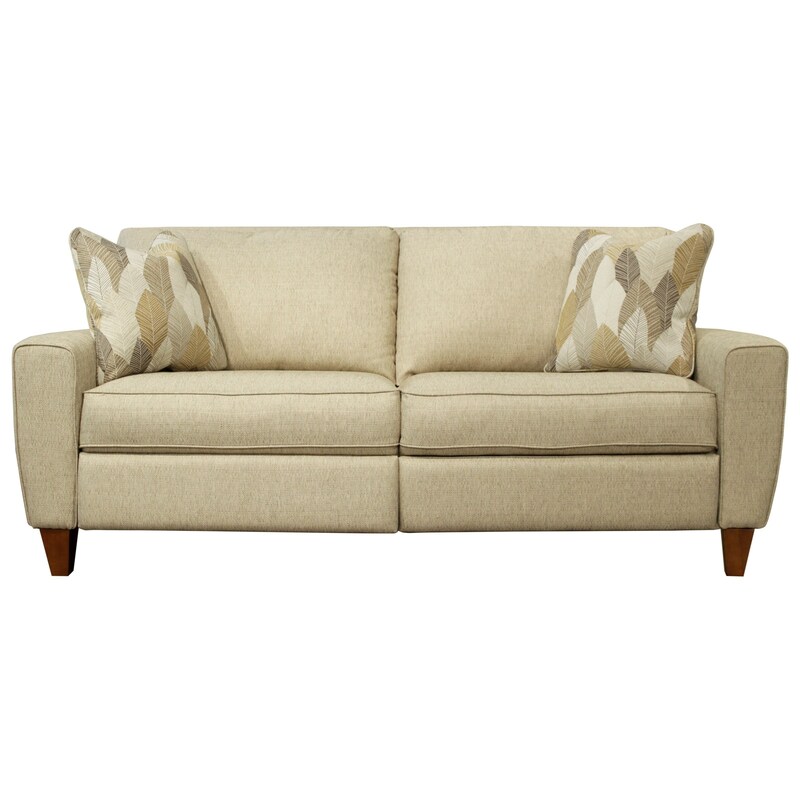 Now you can get the sleek look of a stationary sofa and the ease of a power recliner all in one piece. The only thing that could make this nifty sofa even better was built-in charging ports for powering up phones and devices - so of course those are included as well! The sofa is also available with an optional battery pack so it doesn't need to be constantly plugged in to the wall. The Edie Duo™ Power Reclining Two Seat Sofa with USB Charging Ports by La-Z-Boy at HomeWorld Furniture in the Hawaii, Oahu, Hilo, Kona, Maui area. Product availability may vary. Contact us for the most current availability on this product. Pillow Fabric model includes two toss pillows. Pillows not included with leather model, but they are available for a price upgrade. The Edie collection is a great option if you are looking for Contemporary furniture in the Hawaii, Oahu, Hilo, Kona, Maui area. Browse other items in the Edie collection from HomeWorld Furniture in the Hawaii, Oahu, Hilo, Kona, Maui area.